The International Wine of the Month Club is pleased to deliver in March to our Premier Series members four exciting, high quality wines from around the world. The 2015 Dominio Basconcillos Seis Meses Ribera del Duero, a traditional style of red wine, leads the way. 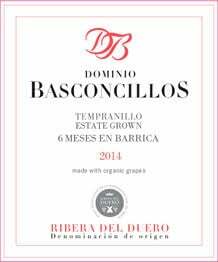 Dominio Basconcillos’ 2015 Seis Meses Ribera del Duero truly reflects the estate’s pre-eminence in crafting traditional Ribera del Duero, as this wine offers a deep red color, superb concentration, and ample tannins to live a long illustrious life. It begins its magic with a tantalizing aroma of dark cherries, sassafras, and fresh, un-smoked tobacco. 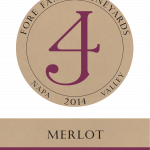 It follows through in the mouth with plenty of robust fruit and spice flavors backed by ripe bodacious tannins that let you know there is no wimp in this wine, and that it plans to live a long, healthy life with all the requisite requirements it needs to age gracefully. Our next March Premier Series offering comes in the form of Simone Santini’s 2015 Le Calcinaie Vernaccia di San Gimignano. Rare among Tuscan white wines for its flavor, freshness, and longevity, Vernaccia di San Gimignano owes its 800 year reign as Tuscany’s most lauded white wine to the predominance of the relatively rare Vernaccia clones that thrive in the environs of San Gimignano. Whereas most Tuscan whites rely upon the more innocuous and ubiquitous Trebbiano and Malvasia grape varieties, Vernaccia di Gimignano must be comprised predominantly or entirely of Vernaccia. The 2015 Tenuta Le Calcinaie Vernaccia di San Gimignano is produced from 100% Vernaccia di San Gimignano from Simone Santini’s estate. It sparkles in the glass with glints of gold, a combination of the soft green of the magical landscape and the golden yellow glow of the Tuscan sun. Pure and aromatic, the 2015 Le Calcinaie Vernaccia di San Gimignano offers up a refreshing draught of fruit, soft scents of almond blossom, a subtle minerality, and a twist of ripe citrus and raw almond on the finish that lingers splendidly on the palate. 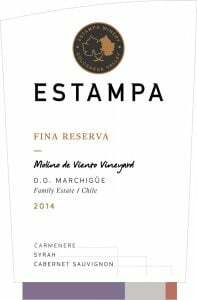 Next in this month’s exciting quartet is the 2014 Casarena Sinco, a rare, highly allocated blend of 60% Cabernet Sauvignon and 40% Malbec from one of Argentina’s most acclaimed wineries. The 2014 Sinco has garnered many 90+ point scores, including 92 points from Wine & Spirits Magazine. The 2014 Sinco deserves high praise for seamlessly wedding Cabernet Sauvignon and Malbec into a delicious, sophisticated blend that would be hard to resist at twice the price. 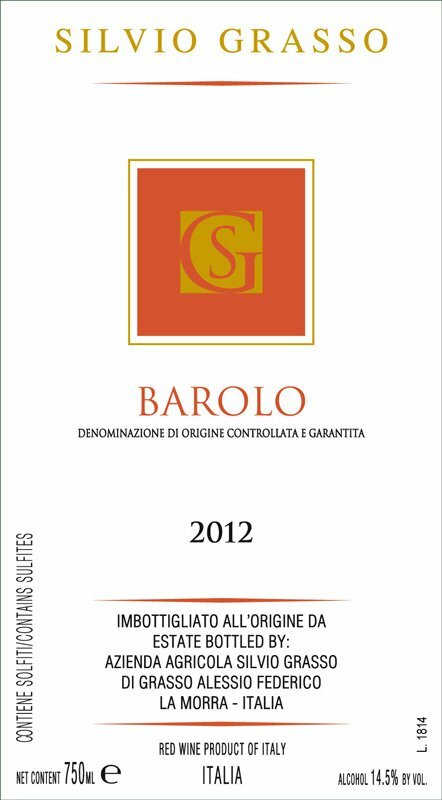 The deeply colored 2014 Sinco offers an amplifying bouquet of red and black fruits, cassis, and well integrated floral and spice tones that seem to leap from the glass and at the same time seep into the center of the wine. Ripe, plush, and silky smooth in the mouth, the 2014 Sinco captivates the palate with ripe blackberry, mulberry, and cassis flavors infused with tantalizing touches of cinnamon, violets and dark chocolate. Authoritative, yet perfectly balanced, the 2014 Sinco finishes with great length and panache. Completing this month’s Premier Series offerings is the 2015 Morgadío Rías Baixas Albariño, a truly dry wine that exhibits sophisticated fruit flavors, pinpoint minerality, and balanced acidity. Morgadío adheres to the traditional style of Albariño, which means a focused, highly structured wine with laser-like precision. The wine’s fruit emerges subtly, almost imperceptively. Dry, pure, and aromatic, this remarkable white wine whispers the enticing aromas of freshly picked apples and pears. It fills the mouth with fresh, racy flavors before finishing crisp and bracing. Our next March Collectors Series offering is the 2015 Domaine Gilles Noblet Pouilly-Fuissé. The 2015 vintage produced stellar white Burgundy and yielded an exceptional 2015 Domaine Gilles Noblet Pouilly-Fuissé. Gilles Noblet himself has stated: “The 2015 Mâcon wines are the finest I have produced in 37 years.” This is high praise from a consummate winemaker not given to brash statements or hyperbole. The 2015 Domaine Gilles Noblet Pouilly-Fuissé offers even greater concentration than usual, as well as the same bright, sun-kissed robe and amplifying aromatics that one has come to expect from this property. An intriguing cornucopia of acacia blossoms, mountain apples, and soft mineral tones delight the olfactory. What’s more, the 2015 Domaine Gilles Noblet Pouilly-Fuissé exhibits an elegant, seductive mid-palate rich in fruit and minerals, which expands with each sip. Ripe, fleshy fruit, pinpoint minerality, and a delightfully racy finish balanced by just the right amount of acidity to match the fruit render the 2015 Domaine Gilles Noblet Pouilly-Fuissé a clear standout. Completing this month’s Collectors Series is the 2010 Robertson Number One Constitution Road Shiraz, which lives up to its lofty reputation as the winery’s flagship offering. From the wine’s saturated purple color through to its long, captivating finish which lingers long after it is swallowed, Robertson’s 2010 Number One Constitution Road Shiraz sings from the glass. 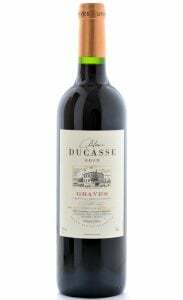 Intense aromas of rich, ripe blackberry fruit intertwined with seductive spice tones waft from the glass. In the mouth, what appears to be a forbidding opaque potion becomes a voluptuous elixir that caresses the palate with velvety fruit, hints of exotic spices and traces of black pepper – all chief calling cards of the finest Shiraz. 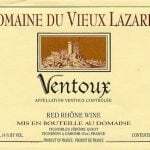 And as the wine takes a long, well-deserved curtain call, supple fine-grained tannins combine with a pleasant patina of French oak to provide structure and lift. The 2010 Robertson Number One Constitution Road Shiraz is a mature wine from South Africa that begs to please.